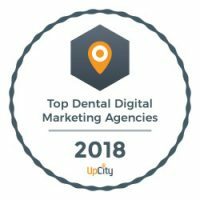 KickStart Dental Marketing has been named as one of the Top Dental Marketing Agencies in the United States in 2017, 2018 and 2019. We only work with 1 dentist in each market and have been working with dentists exclusively for almost 10 years. Learn more about how we can help your practice. 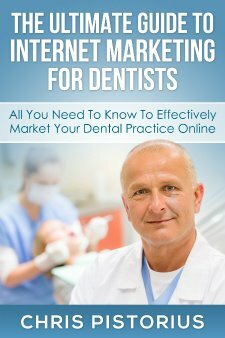 Why is it important to have an online marketing strategy for your practice? This book is not like anything that you have seen before. Why? Well, it’s not filled with “junk” that may or may not work to grow your dental practice, “ideas” that sound good on paper. It is filled with actual examples and case studies of businesses that successfully implemented these concepts. It contains over 130 pages of great content to help you can take action – starting today! This book is for sale now on Amazon, but you can download it for free by clicking the link below! We feel that the best way to do business is through open and honest communication – and without that, you really have nothing. We try to keep track of the questions we most often receive during the new client on-boarding process, and publish them here along with our answers to help potential new clients understand our company and processes a little better. We only work with independent dental practices across the United States. We feel that by specializing in the dental industry, we are better informed and have a heightened understanding of what our clients are looking for. We only work with two practices per market – otherwise, we believe that it would be a conflict of interest. You can see if you are a good fit for our services by clicking here. There are companies that charge less than we do. There are companies that charge more than we do, and return fewer results. If, you’re basing your decision upon price alone, we’re probably not a good fit. One advantage of using our system is that we blend strategies: that both are a longer-play methods combined with shorter-term implementations can yield almost instant results. For instance, the SEO (search engine optimization) process can take up to 6 months, but the paid ads we buy for our clients on Google can be up and running within a couple of days – and will start driving new patients very quickly. We try to help our dental practices learn that they don’t actually sell goods and services – they sell solutions to problems. We are the same way in that regard, so we have created a fully-managed “done for you” marketing system that includes proven online marketing strategies. You can read more about our system here. KickStart has done a great job in dramatically increasing new patient counts in all three of our practices. Their system makes it very easy for us to see exactly how their campaign is affecting our bottom line. I have used two other companies to provide Internet marketing services, and KickStart has provided a much higher level of service – and, more importantly, better results. Their dentist website design services are also top-notch. The team at KickStart has been great to work with. They really understand the dental industry and the issues we face. I was deeply involved in the remodeling and expansion our office space, but I knew I still had to pay attention to growing the practice. I leaned on KickStart, and they have come through for me in a big way.